Schedule online and our experts will help you choose the perfect blinds for your needs! Schedule your free consultation online now! We will make sure you are 100% satisfied with every purchase! Our blinds and shades add a touch of sophistication to any room. Every one of our products is fully covered by a 5 year manufacturer warranty. Want to know how much it will cost to get your new shades? Schedule your free consultation. Are you shopping around for new blinds or draperies? Take a look at a few of our products! If you want your window treatments to have an excellent light control adjustment quality, then going with layered shades is probably the right decision. Find out more here. By installing cellular shades you can add thermal efficiency to any part of your house or business. You'd be surprised how effective these window treatments can be at preventing heat transfer. Learn more about our custom-made sheer shades and how they combine the best traits of blinds and conventional shades with our quick guide. You will certainly be surprised! If you’re looking for bedroom, living room, or studio window coverings, Roman shades are probably the best option. You can learn all about ours by clicking here. Roller shades are some of the most user-friendly window treatments out there, and can be made to fit just about any decorating style. Click here for an overview of our own products. 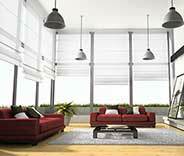 Motorized shades can protect you from harsh sunlight automatically! How? With light sensors or timers! Automatic window treatments make for a fantastic addition to any room. Find out more here. Window coverings are as important for businesses as they are for private homes. Click here to learn what our custom-made blinds and shades can do for you, and about the diversity of products on offer. Window treatments offer a great deal of benefits. Being able to control how much sunlight gets through your windows is the major one, but there are many more. Protecting yourself and your furniture from UV rays, for example, and ensuring you have sufficient privacy. Some window treatments, like custom made cellular shades, can also provide extra insulation, helping you keep the room at peak thermal efficiency, and even saving you some money on energy. But how do you know which blinds are right for your home? That's what Lake Forest Blinds & Shades is here to help you with. Every resident of the greater Los Angeles area, from Laguna Hills to Mission Viejo, can depend on us for advice, guidance and, of course, professional installation of their new blinds and shades. Apart from choosing the right type of design for your interior décor, you also need to decide on how much opacity your new coverings should provide. There's also the matter of operation method to consider. Should you get regular shades with strings or cordless ones? 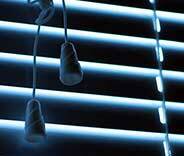 How about motorized blinds? Those are very popular today, and can be hardwired or battery powered. The decisions expand further. 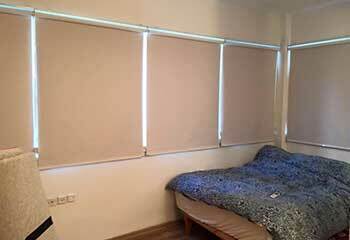 You can also get self-adjusting shades that will change their position according to sensors that detect sunlight and weather conditions. Basically, if you look at the bottom line, yes; they kind of are. Why? Because sunlight, while beneficial to us in degrees, also has some detrimental qualities that must be avoided. UV radiation is the big one, but it does more than harm our skins, it also damages upholstery, paint, books and various other items and materials, especially with long term exposure. Being able to regulate sunlight and control how much of gets through and when, is incredibly important. Why Else Are Blinds and Shades Important? Well, for starters there's the matter of privacy. You don't want people to just be able to look through your windows willy nilly, right? You want to keep areas like your bedroom or your office private and free from prying eyes. And of course, there's thermal insulation. Open windows, and even closed ones, can be the source of heat escaping or entering a room, depending on the season. 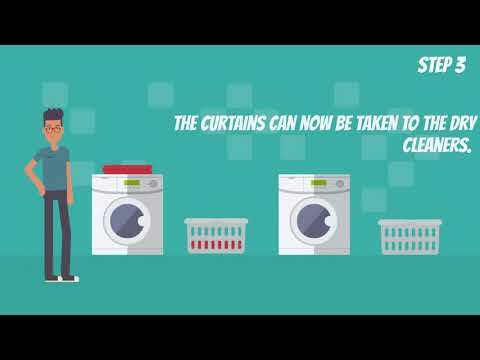 But by covering them up with the right type of custom made shades, drapes or other types of coverings, you'll be able to greatly reduce this effect. You can also get electric blinds with automatic vane adjustment that you won't have even to mess with after the installation. If your Laguna Woods office is directly facing the sun for most of the day, adding new light filtering shades will significantly improve your productivity. So Which Blinds and Shades Should I Get? The answer to that question depends on various factors. Mainly, your needs. 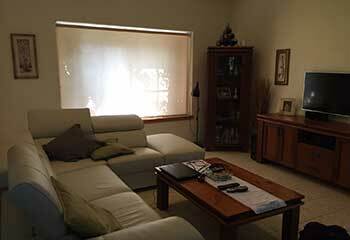 Roller shades are a very popular option for their simplicity and affordability. Faux wood blinds are another sought after shading solution that provides the elegance of wood without the extra maintenance. There are pleated Roman shades that fold beautifully and make for wonderful décor contributions, or the classic Venetian Blinds that reliably block out sunlight and offer great privacy. 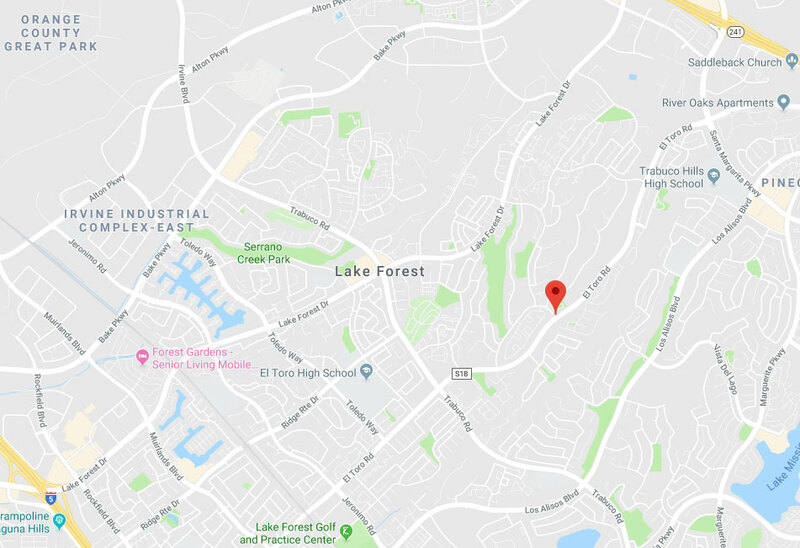 The choice comes down to your circumstances and what type of look you're looking to achieve in your Aliso Viejo home, or any other nearby property. In fact, we're just a phone call away. Alternatively, you can use the online forms on this website to schedule a free consultation appointment with a local blinds and shades expert that will come to your home or office to show you a variety of styles and designs. Needless to say, the variety is extensive, so if you're looking for custom made blinds and shades experts near Rancho Santa Margarita or somewhere close to Irvine, by all means, contact us anytime. Are you living in Lake Forest and looking for a way to spruce up the design at your home or office? Schedule a free consultation today to learn how you can benefit from new and modern window treatments. Our professionals will walk you through every step, from measurements and consultation to installation and support. With a wide selection of window treatment styles, colors and types, you will surely find the perfect match for your windows. When you choose Lake Forest Blinds & Shades, you choose quality – backed up by full warranty! Take a look at our latest projects below. The customer wanted room-darkening shades for his media room. Find out more here. This customer wanted to simplify her shades and our company was happy to help. Learn more here. When this customer wanted easy, simple shades our experts had just the thing. Find out more here. Our team helped this customer find blinds that will never be out of style. Discover more here. I can’t help but smile when I see my new motorized blinds. They’re even nicer than I had expected and I am grateful to you for your help with the free consultation. My bedroom looks fantastic with my new bamboo shades. Thanks for installing them for me so fast, and at such a fair price. 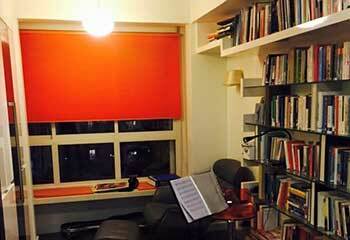 I am happy you explained the benefits of vinyl blinds to me, and now that they’re up they look amazing. You did a wonderful job, thanks for all your help. Discover our wide selection of beautiful blinds today! Our specialty lies in matching window blinds, shades, and drapes with their owners. 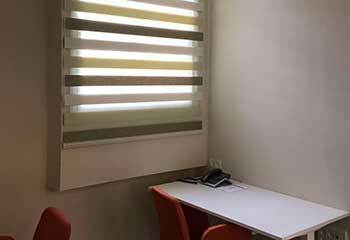 Because whether you’re looking for custom made shades for your home or motorized blinds that can add some high-tech vibes and utility to your business, you can turn to us and know that you’re getting help from the leading experts near you. Schedule a free consultation today using our online appointment booking system. Thank you for choosing Lake Forest Blinds & Shades! Feel free to browse our website for more useful information until our appointment!